Dr Oliver Johnson is a visiting lecturer in global health at King’s College London. He was based in Freetown from 2013 to 2015 working as the Director of the King’s Sierra Leone Partnership. He was awarded an OBE in the 2015 Queen’s Birthday Honours in recognition of his leadership role in the British response to the Ebola outbreak. 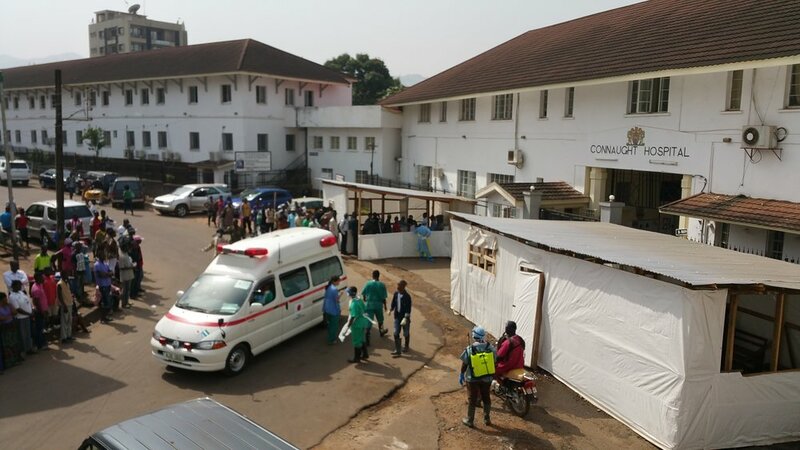 Oliver and his team supported the management of more than 578 confirmed cases of Ebola in Connaught Hospital, as well as the establishment of the Freetown Command Centre and Ebola isolation units at 6 government hospitals, which saw 2,571 suspected cases, of which 1159 were positive. Oliver studied Medicine at King’s and International Health at UCL. After graduating, he became a Teaching Fellow and helped to establish the global health education programmes at the King’s Centre for Global Health & Health Partnerships. He was recruited by Lord Crisp in 2011 to help set up the All-Party Parliamentary Group on Global Health in the UK Parliament and worked as the group’s Policy Director until 2012. He subsequently worked as Strategy & Technical Advisor for Africa Health Placements in South Africa, where he supported the recruitment of international doctors to work in understaffed government hospitals, advised the National Department of Health on their health workforce policy and helped design a Postgraduate Diploma in Rural Medicine with Stellenbosch University. From 2017-2018 he helped lead the development of a 10-year strategy for the King’s Global Health Partnerships in Somaliland, Sierra Leone and the Democratic Republic of Congo. He is currently a PhD student at King’s College London, where he is researching whether participation in a structured quality improvement programme strengthen the leadership and management capabilities of young clinicians in Sub-Saharan Africa. He is also an honorary researcher at the School of Public Health at the University of Witwatersrand in South Africa. ‘Getting to Zero: A Doctor and a Diplomat on the Ebola Frontline’ is a book by Dr Sinead Walsh and Dr Oliver Johnson about the West Africa Ebola Outbreak 2013-2016. Learn about the book and its authors, read reviews, check out upcoming events and find out where you can buy your copy. We'd love to hear what you think about the book and how it has influenced your thinking or work. And please share your reviews of the book on Amazon, Facebook, Twitter and other sites!